A war of words broke out between Sinn Féin and the Northern Ireland mainstream media this weekend. It started on Saturday 10 March when iNews political editor Sam Mc Bride wrote of a Sinn Féin and DUP boycott of The Nolan Show on BBC Radio Ulster. It ended with a spat over football. The DUP have apparently boycotted it since Nolan’s coverage of the Renewable Heat Incentive (RHI) scandal, which lead to the collapse of the Northern Ireland government. The scheme was to encourage people to switch to renewable energy but it went over budget by almost £500m. Nolan interviewed the former DUP Minister who revealed how he had tried to put an end to the RHI yet his moves were blocked by party colleagues in the DUP. This lead to a very public bust up between the DUP’s Gregory Campbell and Nolan. According to Mc Bride’s article, Sinn Féin joined the DUP boycott for a combination of reasons. Firstly Nolan mocked the Irish language in 2014 and more recently he played a part in the Sinn Féin DUP Stormont deal falling apart as Nolan gave excessive airtime to anti DUP Unionists. 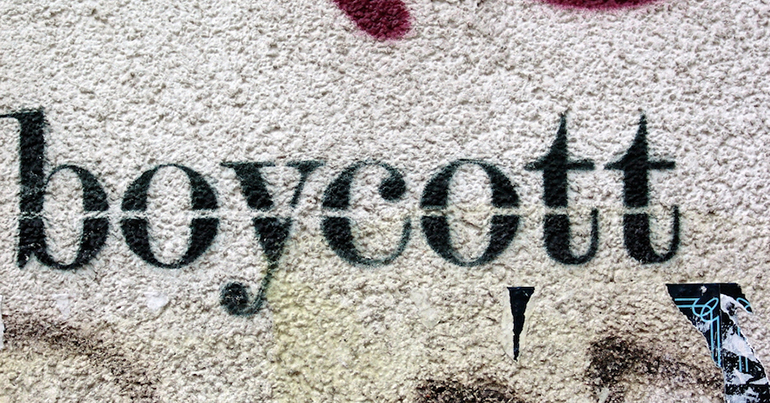 However, it was Sinn Féin who appeared to bear the brunt of the boycott in Mc Bride’s article. He accused Sinn Féin of being behind the #boycottnolan Twitter campaign. But there was a backlash against Mc Bride’s article. Well written, Sam, but think you’re ignoring a lot of people who choose to #BoycottNolan simply because it’s a sewer. The more they close ranks the bigger the #BoycottNolan becomes, keep up the good work! I'm #boycottNolan cause of the ignorance of this man. He has tried to make himself out like a national treasure when he's merely a parasite to the community. He incites hatred on both sides to keep his ratings going. He's played his hand. Enough is enough. Thrilled to note that Sam and Alex’s intervention has served to MASSIVELY re-ignite the #boycottnolan trend. LOL! But that wasn’t the end of the clashes between Sinn Féin and the mainstream. 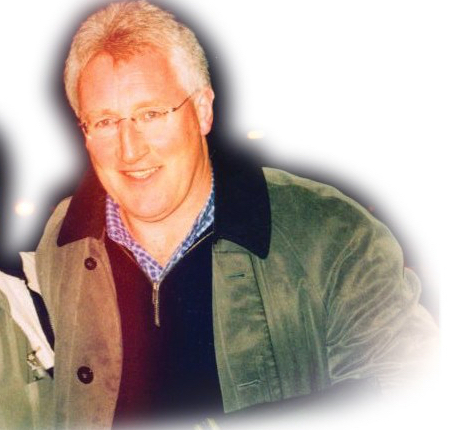 Later that evening Sinn Féin’s Niall Ó Donnghaile clashed with U105 Radio host, Frank Mitchell. Mitchell called [‘Martin O’ Neill responds to ‘Catholic’ remarks 14:20m] on those born in Northern Ireland to play for Northern Ireland and not the Republic. A comment directed at Catholic players who typically opt for the Republic. Absolutely, which is of course vastly different from me complaining about your own individual support, that’s entirely different and as I say, ultimately, a matter for yourself. But you’re right, have a nice weekend and chat Monday. This is a bit weird Sam because a) you don’t follow me & b) I’ve tweeted numerous times already I’m for phoning into the show on Monday to chat (but you chose not to highlight them for some reason I don’t know 🤷🏻‍♂️) so I’m not advocating a boycott of this show or any other. That appeared to be it, as Mc Bride had no response. So a few days that saw Sinn Féin on the receiving of mainstream attacks on Twitter. One can only assume the DUP escaped the wrath of the iNews political editor as he is also political editor of the Unionist leaning News Letter. 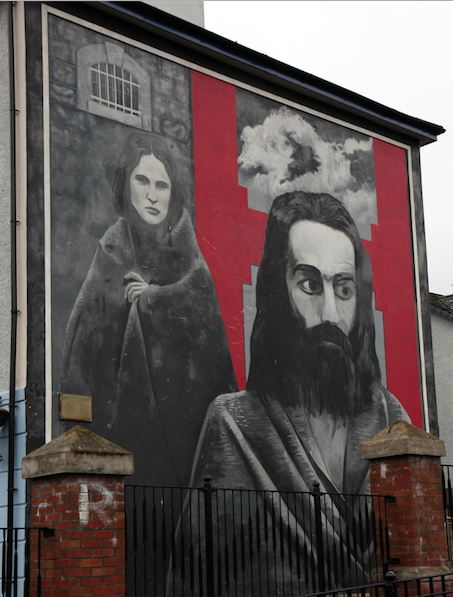 Tribal politics in Northern Ireland shows little sign of abating. In addition the article paid no attention whatsoever to the regional effects of supplying weapons to such a state. Johnson’s call came in the wake of the regional dispute where Saudia Arabia, Bahrain, Egypt and the UAE imposed sanctions on its gulf neighbour as they accused Qatar of funding terrorism and interfering in their internal affairs. However, more generally what the article failed to bring into question is UK arm sales to countries with highly questionable human rights records and to both sides of the Saudi lead embargo of Qatar. An embargo that could have as much to do with a failed bail out business deal of Trump’s son in law Jared Kushner reported by The Intercept. More importantly, for the British workers at the arms manufacturer (BAE Systems) whom the BBC claim will benefit from this deal, the deal may not be so favourable after all. The financials don’t add up. Or at least they are not as rosy as they first appear. Firstly, while the article claims that the deal will save thousands of British jobs, the latter half of the article admits that the deal with do nothing to save the 2,000 jobs cuts announced last October. Additionally the BBC are one of the few news agencies reporting the deal as being worth £6bn. The deal is reported as being worth £5bn in most other publications and on the BAE Systems website, who will actually be making the planes being sold to Qatar. But what’s £1Bn? So let’s return to the main focus of the article, which is the sale of arms to Qatar and the complete ignoring of their human rights record. Qatar’s human rights record has been slammed by a variety of human rights organisations such as Amnesty International and Human Rights Watch. It has even come in for criticism from the US Department of State. Abuse and exploitation of immigrant workers who have had to pay exorbitant recruitment fees to get a job in Qatar. Sponsorship system that gives employers control over their employees. High debts and restrictions workers could face if change employers which often forces them to accept jobs and conditions they did not agree to originally. Damning as these reports are, they neither deterred the deal from going ahead nor inspired the BBC to note them in their 10 December article. 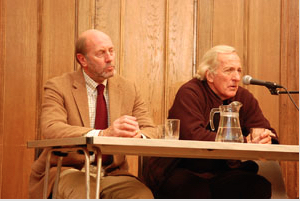 Chaired by Dennis Halliday, former Assistant Secretary-General of the United Nations, it was to take the form of a conversation between Halliday and Pilger. Unfortunately the talk was something of a let down. While there were some useful insights in their conversation, none less so than useful web addresses given by Pilger, the talk was scattered and disjointed with little or no depth despite its two hour duration. Dominated, as Q&As unfortunately appear to be by the rambling-bewildered and the self-promoting, an occasional noteworthy question did get through. However, it appeared to be incomprehensible to Pilger as Halliday had to translate from Hiberno into Antipodean English on almost every occasion. Pilger also seemed somewhat irked by the questions and comments. But let’s park all of the above objections, as it was a packed theatre after all and these two men combined have such a wealth of knowledge and experience that it would prove impossible for any mortal to streamline into a two hour meeting, and let’s look at something more important. What was really objectionable was the incessant undertone expressed all through the Q&A, far too prevalent at these kind of talks, which is; ‘What has happened to the media today?’ and ‘Why cant we trust it any more?’ My question is: When exactly were these halcyon days of media reliability and trust? 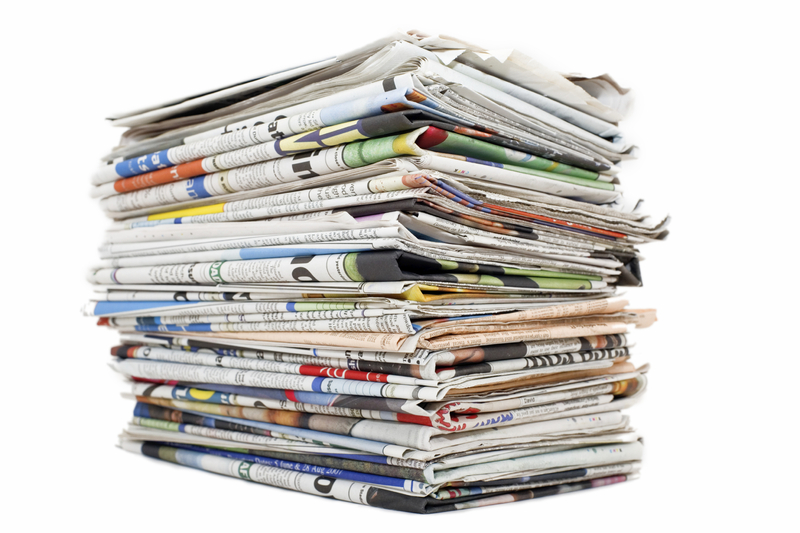 From the day that the first newspaper took advertisements it has been untrustworthy. This is not a recent phenomenon and certainly not a creation of the current US administration. This narrative about the media’s past is based on fantasy. A rose coloured glasses revisionist look at the past when you quite possibly were younger, sexually attractive and had long flowing hair! I miss those days too (but at least those days once existed) yet they haven’t coloured my understanding nor lack of trust in the media. It is these non-existent media days that every mis-informed microphone general loves blathering on about whenever someone of Pilger or Chomsky’s stature comes to town. They must believe they will impress or curry favour with their wonderful insight. Who knows? And like many of these microphone generals, I too have followed the media’s coverage of current affairs for over 3 decades yet I cannot ever remember any such trustworthy times. One way to test this or indeed any narrative is to compare media coverage of an event you are quite close to, to the reality of that narrative. One such event I was physically close to was the border between the so-called north and south of Ireland and therefore the conflict between the IRA and British forces from 1969-1997. From as young as I can remember, the Irish media as well as that on the international stage, reported inaccurately on this conflict. A point which is evident from how the conflict was euphemistically referred to as; ‘The Troubles’. Little has changed. It was and is a conflict described by the media as ‘Catholic V Protestant’. How could any self-respecting journalist stand over such nonsense? Even if we neglect the fact that there are Catholics and Protestants that both support a United Ireland and a union with Britain, we have only recently heard that this was in fact a battle for territory as well as a battle for civil rights. Anyone needing a reminder of how politically biased the media were should read President Mary Mc Aleese’s book, The Road From Ardoyne, where they will learn about the harassment and bullying she was subjected to by her journalistic colleagues for attempting to report on the 1981 hunger strikes and Bobby Sands by-election. I wonder do the microphone generals remember Section 31 of the Irish Broadcasting Act? 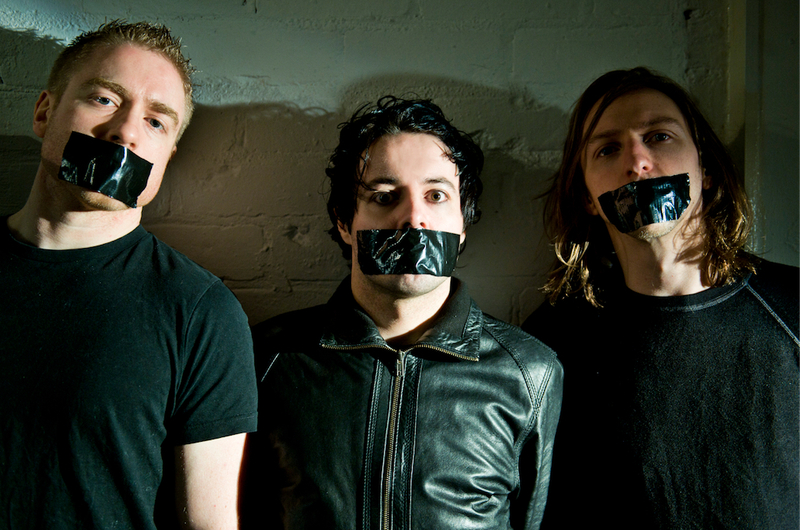 A time when the Irish Government and media imposed very strict censorship on political opinion. Have they not heard of Kevin O’ Kelly? 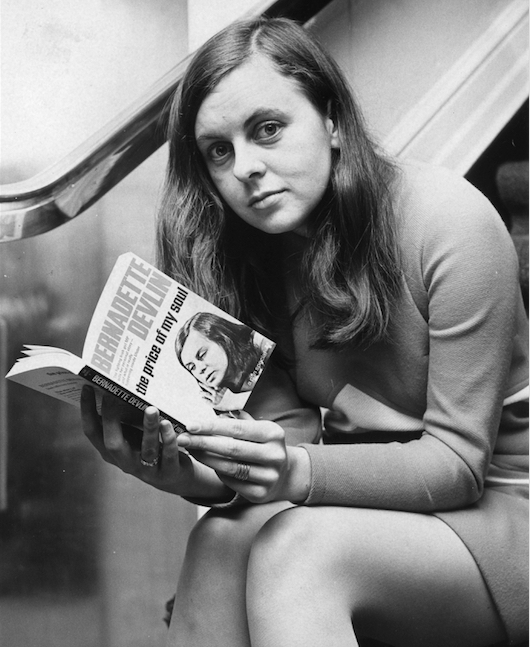 A journalist with the Irish state broadcaster and sentenced to three months in prison in the early 1970s for having interviewed the then IRA Chief of Staff. I watched too as politicians like Mandela and many others and many other causes around the world were adopted and honoured by the Irish media while Mandela was on an international terrorism watch list until 2008. We can argue the rights and wrongs of Mandela being on such a list but what is undeniable is that similar Irish ‘terrorists’ were vilified by that same Irish media. I watched and listened to a misinformed narrative that regurgitated the notion that the UVF, UFF and UDA (British Loyalist ‘terrorist’ organisations) were a response to the IRA. They neglected to mention that the UVF were originally established in 1912, long before the IRA came into existence, and it was indeed the newer version of the UVF, as well as other British ‘terrorist’ organisations, that struck the first blow in the IRA/British forces conflict. I would recommend the microphone generals read The BBC’s ‘Irish troubles’ Television, conflict and Northern Ireland by Robert Savage. 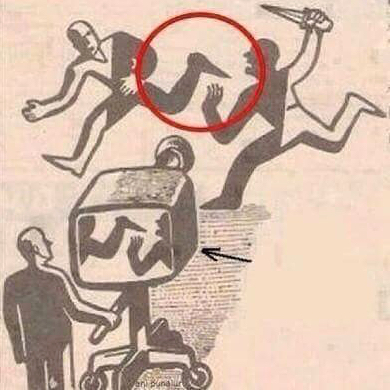 The mainstream media today is not trustworthy, and this is in keeping with the past. Simply because one or two trustworthy journalists came out of those times – times when we were all younger and more attractive – does not mean the entire establishment was trustworthy. The exact same can be argued about journalists today as the quality of journalist has not deteriorated one bit. Unfortunately the courage has not increased one bit either. None of this excuses a blinkered or revisionist view of history and the media, no matter how attractive you or the media may appear to have been at one time in your life. It is indeed the casual mentioning of the fact that British Police were given permission (presumably by Irish authorities?) to search Dublin properties that is most noteworthy. That part has been substantiated. But how can it be allowed? 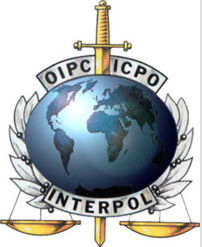 As part of an Interpol or Europol operation you might understand it then but Interpol are mentioned separately in The Irish Times version. Sean Dunne wrote The Irish Times version and he is equally vague. However, he does say the Garda station is “…north Dublin city…” and his information comes from “a Garda source”. The thankfully brief and unsubstantiated article concludes with the clichéd fear inducing technique “At the moment there is no known link between today’s arrest and the London Bridge terror attack.” So regardless of the absence of any significant facts, Irish people should remain on high alert and suspicious of all Muslims?! 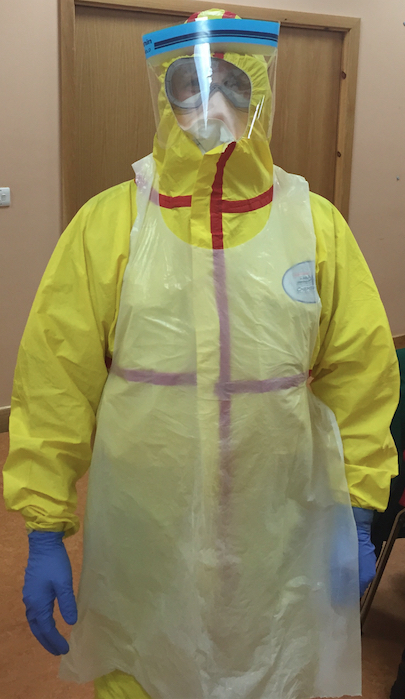 Until it is backed up I will have to put it in the same category as the hysteria that was created a few years back about Ireland’s only vase of Ebola man in Donegal with Ebola. Later retracted and proven to be false. It’s a form of media that intends to lead the public astray and it is a nasty underhand trick that may never be discovered yet can do untold damage with unknown consequences, not seen until long after the perpetrator has left the stage. Indeed should they ever be taken to task for spreading misleading information, they may even claim ignorance, legitimately, as nothing can be proven. Yet what can be proven is that Hoganstand.com did not provide any details of the ‘crowd trouble’, apart from stating that the Gardaí (Irish police) had been called, nor who had caused it. 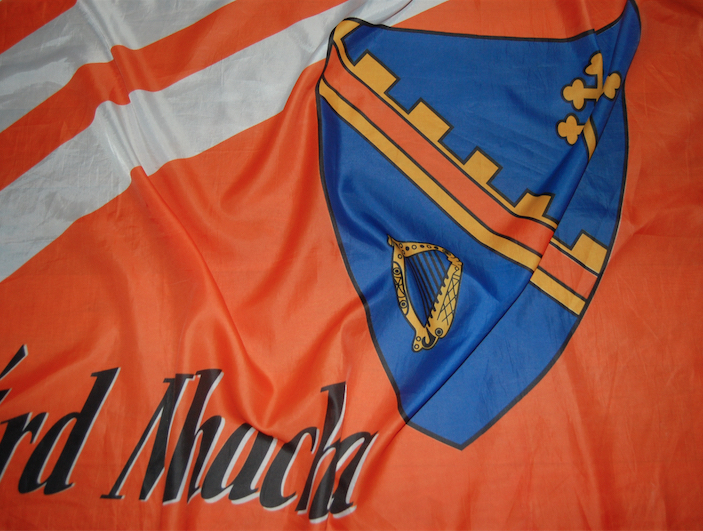 Instead they attempted to leave the impression that it was the fault of the Armagh travelling support. It is indeed a form of very nasty and manipulative propaganda – and it has been around a lot longer than Mr. DJT. It would be ‘fact checked’, to use the nonsensical parlance of our times, were there any facts to check. Sadly there are precious few. There is just inference and innuendo. Perhaps we should launch ‘inference check’? 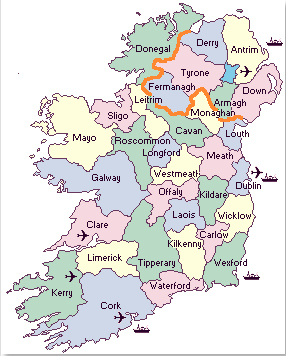 Hoganstand.com’s report clearly attempts to give the impression that Armagh (a county north of the Irish border and, in the areas where GAA is played, known to be a Republican stronghold – all perfectly normal as we are all entitled to our political beliefs and pastime activities, provided they are respectful) fans behaved improperly. However, nowhere in this report does it say or explain what the ‘crowd trouble’ was or who started it but the picture, of an Armagh player shoving a Westmeath player (and much much worse happens in every GAA match all around Ireland), and the inclusion of “Armagh brought a large travelling support to Mullingar and their fans celebrated on the pitch afterwards” gives a very strong impression that Armagh fans were up to no good. Bringing a large following is to be applauded. Particularly as it was a round 2B Qualifier match on a warm sunny evening (which we get precious few of in Ireland). Furthermore, as attendances can be quite poor at such GAA matches one would imagine that GAA magazines would welcome such support? Hoganstand.com’s report stands alone as none of the credible mainstream sports reports on the RTE.ie/gaa on Independent.ie or the Irishtimes.com make any reference to any form of ‘crowd trouble’. In fact The Irish Times website state that after Armagh’s goal there were “joyous celebrations among the very large Armagh contingent”. The Irish Times is not known to be an explicit supporter of Gaelic games nor too much of the Irish variety north of the border. So Hoganstand.com’s exact motivation beggars belief. But of course they could retort that they are reporting what the mainstream missed or are afraid to report. In many circumstances that argument is valid. However, that argument does not stack up in this circumstance, as the comments section on Hoganstand’s Facebook page reveals. Some of those who attended the match claim that whatever ‘crowd trouble’ occurred in the stands among the supporters, may well have been instigated by Westmeath officials. Eyewitnesses claim that a Westmeath official threw a water bottle at Armagh fans, which reportedly struck a young child. Two eyewitnesses have supported this account and it has not been contradicted by anybody thus far. We wait and see. This negativity towards the Ulster side is reflected in what could only be referred to as regional racist comments, in the comments section below the article. Nowhere in their article does it say that Armagh fans did anything wrong nor does it even state what wrong was done. Very little of the Anti-Ulster comments are based in any kind of fact. This is much worse than fake news as it is misleading and relies strongly on negative inferences and unfounded stereotypes. None of this can be proven – as nothing exactly has been reported – yet all of it leaves a negative impression in one’s mind and serves to feed old and unfounded prejudices. Apart from the eyewitnesses who gave accounts of what apparently did happen, very few of the Anti-Ulster keyboard warriors appear to have even been at the game. It’s a nasty continuation of a very nasty anti-Ulster attitude that has existed down south for some time, much of which has been perpetuated and fed by prominent TV pundits. I hope they some day wake up to the vitriol that they are in part responsible for and the regional racism they may be stoking and reinforcing. ‘Put your money in bricks and mortar’ sure it’s ‘as safe as houses’ and ‘it could happen to a bishop’. Apparent truths that no longer form part of our narrative. Repeated ad nauseam, as these ‘truths’ were, people believed them and they became part of the collective discourse. That is until we discovered their brittle foundations and the real truth emerged. All of these ‘truths’ have the same purpose: to maintain division between the north and the south, negate the notion that a UI could ever happen and maintain the status quo. 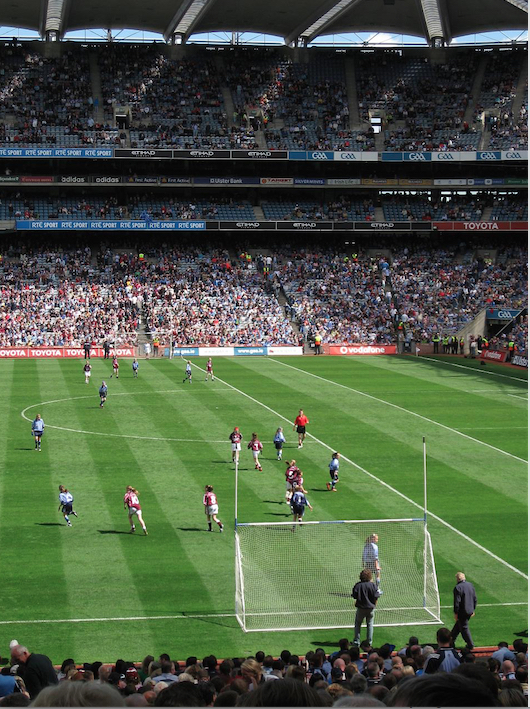 ‘Comedy’ ‘satire’ and even ‘Gaelic football punditry’ – whereby the northern teams who had the audacity to come to the sacred grounds of Croke Park, take on the aristocrats of the game and beat them not once but twice and more and were thus singled out for derogatory, discriminatory and insulting treatment – have all been employed through national media to exacerbate this apparent difference between north and south. A UI is not possible unless a majority gives consent. So what then, if they give consent? Will it be consented or will we have another reason as to why it cannot happen? Is the growing Catholic population (potential but not guaranteed supporters of a UI) being wooed? Northerner and southerners are of course different but so too are easterners and westerners. 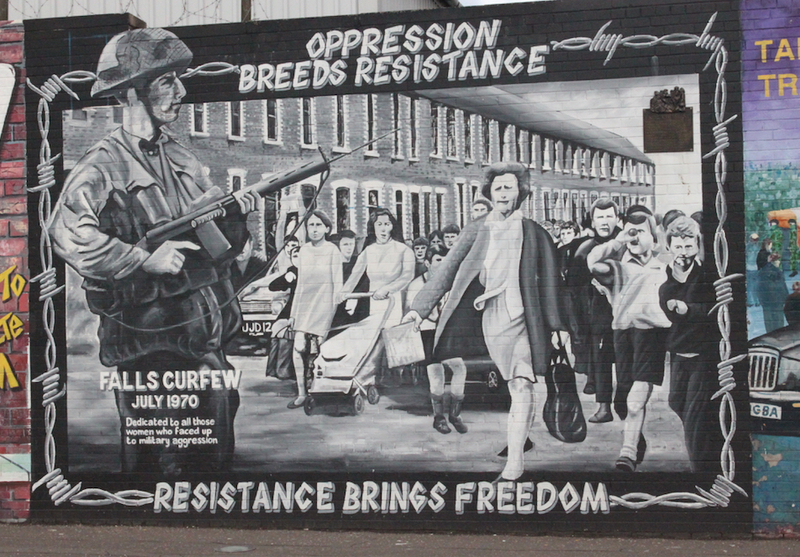 Does the Upper Malone Road have much in common with Sandy Row? Does Eglington Road have much in common with Buckingham Street? Is ‘Northern Ireland’ really another country? Apart from the fact that Northern Ireland is not a country at all, under any kind of rational definition, ‘Northern Ireland’ may not even be part of the UK. See my blog. And as for loyalists, who have been used and abused as a pawn of British policy? Well they may not be best pleased with a UI, that is true. However, the question is not whether they will ‘go mad’ but whether they will be supported and protected the way they once were. See my blog. Regardless, and with the exception of a handful of recent Fintan O’ Toole articles and his participation in 66 Days, you could be forgiven for assuming that The Irish Times (the ‘paper of record’ don’t you know?) were furthering this narrative. Not known for championing the cause of a UI, the Old Lady of D’ Olier Street are usually in keeping with, as Ivan Yates (former Fine Gael Minister – Fine Gael have always and traditionally been, ever since their roots in right wing extremism, opponents of Sinn Féin and all groups striving towards a UI) put it on the RTE politics show, Questions & Answers, “keep Fianna Fáil to the bottom with the exception of Sinn Féin”. Despite claiming to adopt “an independent political line”, The Irish Times has been relentless in their attacks on Sinn Féin for a long number of years, even attempting to link Sinn Féin’s IRA past with current ‘terror’ campaigns. The Irish Times may serve its readership better by examining it’s own foundations. The Irish Times’ narrative on a United Ireland is equally unambiguous. They have being delivering and repeating, for decades, a narrative that states ‘A United Ireland is not possible’. A United Ireland that is under Irish rule as opposed to one under British rule, which they may of course support as does former Ulster Unionist and current media mogul John Taylor, also known as Lord Gilhooley. In keeping with their narrative in last weekend’s (8 & 9 April 2017) edition of The Irish Times Weekend Review, Journalist Simon Carswell, known mainly as a financial Journalist and Washington reporter, seeks to perpetuate that ‘truth’ through careful selection of quotes from people he describes as former ‘IRA veterans’ and ‘Hardmen’. The Irish Times’ use of a domineering green silhouetted photograph of all four men taking up the top half of the front page seeks to further impress upon us how authoritative and noteworthy these men must be. Their selected words must then obviously be the truth. The average Irish Times reader must have been asking themselves, why The Irish Times didn’t give them this kind of publicity in years gone by? Having met Mc Kearney and Mc Intyre I would contest the ‘Hardmen’ label. As experienced IRA volunteers, who possibly experienced every aspect of being a volunteer in a revolutionary movement they probably could have been described as ‘Hardmen’. However, as those days are long since over and these men now live in suburban style comfort, are well read and educated, they could be more accurately described as ‘Hardintellectuals’ and ‘Gentlemen’ of the so-called republican ‘dissenter’ class. Carswell’s piece is a multi media piece including a Podcasted and Videoed addition to the Paper and On-line Written article. However, none of these appear to be connected. There are discrepancies between all of three versions and discrepancies between what the men say in this article and what two of them told this blog in interview two years ago for a radio documentary ‘Irish Republicans Opposed to the Good Friday Agreement’. While these men support peace, it does not logically follow that they support the ‘Peace Process’. 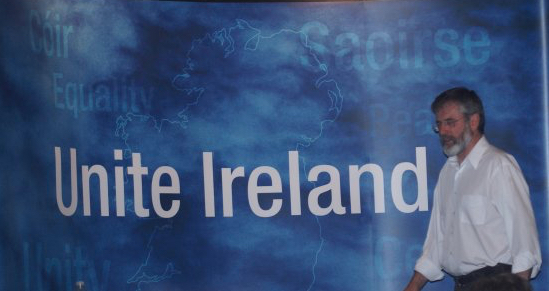 A United Ireland will never happen (using the headline ‘Ex-IRA Men: United Ireland It’s All Guff’, despite the fact that only one man said this). ‘Northern Ireland’ might even be better off with UK – again only one of the ‘hardman’ says this (Colm Lynagh comment) – even if we aren’t entirely clear of the context in which his remark was made. 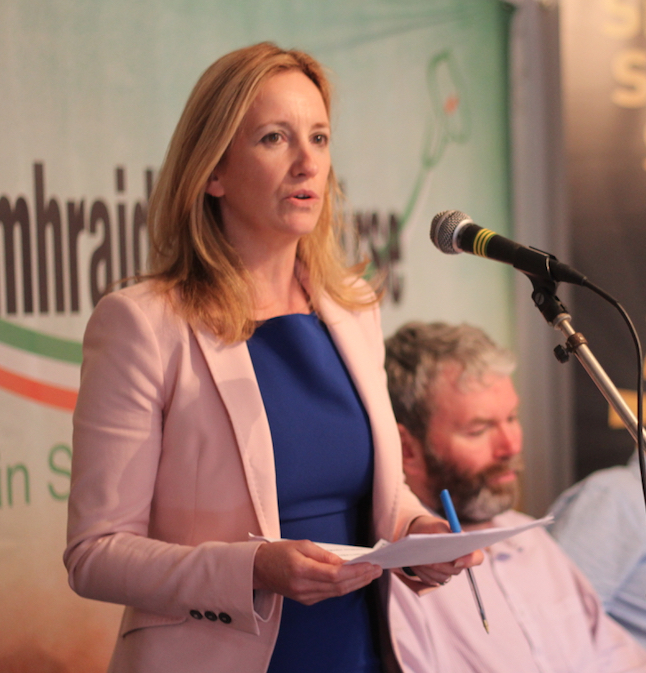 Brexit won’t derail the ‘Peace Process’ and lead to violence – like Sinn Féin say it will (but let’s examine that more closely – Have SF started such a narrative?). Allowing prominence to be given to, or even using, the opinions of experienced people is valid. These men experienced what they are talking about. They are as close as is humanly possible to the title ‘Expert’. A title often bandied about with little meaning and assigned to people who are anything but. Not here though, that title is well earned. However, that does not give any journalist the right to select certain quotes and present them to support a separate agenda. Gerry Mc Geogh – Supports it and sees it coming quicker than expected because of Brexit. Colm Lynagh – hasn’t expressed an opinion either way except that he may be a Euro-Skeptic. He also strongly alludes to a unification between different shades of dissenting republicanism as well as among unionists. Tommy Mc Kearney – Doesn’t see it and doesn’t necessarily want it – but not necessarily opposed either. Anthony Mc Intyre – Doesn’t see it and doesn’t necessarily want it – but not necessarily opposed. More worrying, Carswell introduces each man as being a supporter of the “Peace Process”. I was aware that these men support peace and have done for a long number of decades – longer than some in Sinn Féin – but that this did not automatically mean they supported the Process. Support the Good Friday Agreement (GFA), St. Andrew’s and Stormont? Was ‘The Peace Process’ defined to them before the Journalist came to that conclusion? Listen at above radio documentary link. Gerry Mc Geogh, who has also been very outspoken on matters relating to Catholics serving in north of Ireland civil service positions, declares a very clear interest and expectation of a UI following the Brexit vote and indeed claims that this was the reason that he and other Irish Republicans voted for Brexit. On Britain he says “we couldn’t care less about it”. Anthony Mc Intyre’s comment on Sinn Féin threatening a return to violence if their wishes aren’t allowed has been described as a form of ‘Sinn Féin expansionism’ on the podcast. But was it Sinn Féin who started talk of Brexit threatening the ‘Peace Process’? Conduct a simple Google search and you won’t see Sinn Féin making such predictions on the first page search. In fact the ‘The Leitrim Observer’ is first on the list where Enda Kenny says “We are not going back to…roads being blown up”. This is followed by an article in The Guardian predicting a return to war and then The Daily Telegraph and EU Chiefs. The vast majority of these articles were written before the Brexit Referendum had even taken place. Additionally it appears as if it is Fine Gael’s Enda Kenny who is making the strongest calls for a UI as opposed to Sinn Féin. Wouldn’t this be an opportune moment to build real truths instead of creating a Brexit Fear? So that, when handled properly, not only can this be change be brought about through total peace, it can also bring about a United Ireland that is good for everybody. Why won’t the powers that be explain how that could be achieved rather than focusing on unsubstantiated and unhelpful fear as well as needless negativity? I guess they must be susceptible to that other ‘truth’ – ‘When you’re explaining you’re losing’. Media analysis on the coverage of the Louth constituency during #ge16. 4. It talks about ‘Catholic Civil Rights’ as if they existed in a vacuum outside of a British controlled state that deliberately mistreated ‘Catholics’ even though religion was never the issue. The Irish Times are therefore perpetuating the myth that the war in Ireland from 1969-1997 was sectarian and religious based – it was not. Furthermore as Mc Aliskey is pro Abortion on demand, she could hardly be seen as leading a ‘Catholic’ struggle. 5. The Irish Times follows British propaganda to the letter in declaring that “13” people “died”, on Bloody Sunday in Derry in January 1972, as opposed to saying “14 were deliberately targeted and murderdd by the British Paratroop regiment that comes under the direct control of the British Prince Charles. 6. 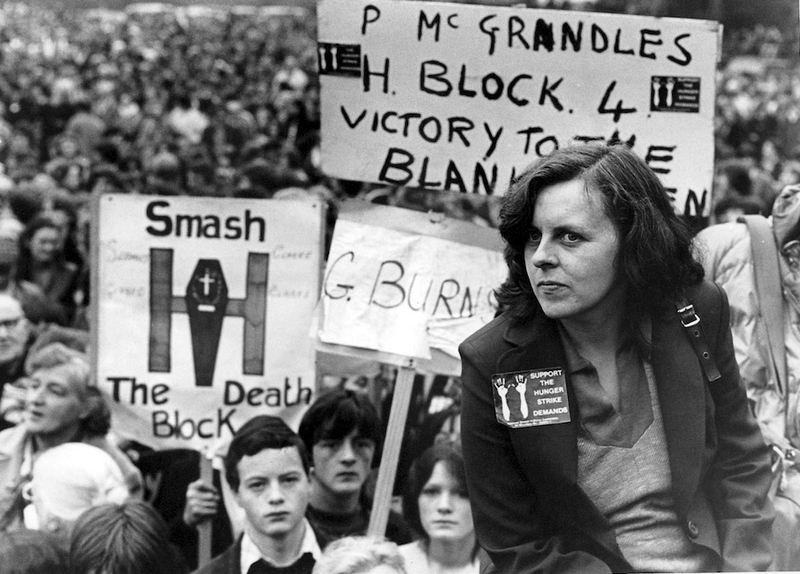 Portrays Mc Aliskey as ‘just another socialist/feminist’ fighting the system. Ignoring the fact that the injustice was brought about and exasperated by British rule in the north of Ireland. These would be both honest and appropriate. “Was The Rising Justified?” is a clandestine and unhelpful title and a deliberate mis-framing of The 1916 Rising. So too is the remembrance of the British who died at that time. There is a day for that already; so why the need to also colonise our days of celebration and commemoration? If you question the justification of The 1916 Rising, you question the existence of the Irish state. The 26 County Irish state would not exist without it. Debating The 1916 Rising justification is valid for the monarchists and collaborators who oppose the Irish state. Debating the validity and existence of the Irish state is relevant when we are debating the validity and existence of statehood all around the world. But we are not. So the debate is not valid. So-called ‘Dissident Republicans’ and Southern Unionists oppose the Irish state. It’s an unholy alliance. However, as ‘Dissident Republicans’ believe The 1916 Rising was justified but remains unfinished, they have no appetite for debating its justification as they already believe it. Southern Unionists, however, believe in the outdated and imperialist British Commonwealth, the UK and the old days of the empire. We know these positions so, again, there is no debate. Paradoxically the position of Southern Unionists supports that of ‘Dissident Republicanism’. Well, claiming it wasn’t justified as, full independence was not achieved (according to Kevin Myers), is exactly the position of ‘Dissident Republicans’ is it not? So why did RTE’s Prime Time arrange this debate and host it at the site of The Rising, The GPO? Why did they invite known Southern Unionists; Kevin Myers, Ruth Dudley Edwards and Patsy Mc Garry to represent the tiny and almost negligible minority that is a Southern Unionist? Was there nobody else available? Kevin Myers is well known for his pro British Empire opinions and he is also known for expressing opinions that are anti Islamic . Ruth Dudley Edwards pens regular anti-Irish articles. Patsy Mc Garry was a surprise as I had no real knowledge of his political opinions except that he is the Religious Affairs Correspondent with the Irish Times. My initial reaction was that they were scrapping the bottom of the barrel and formulating an utterly pointless ‘debate’ to fill a timeslot. Aware of its pointlessness, the RTE ‘Chairperson’ David Mc Cullough, in his usual condescending, smug and misinformed manner, attempted to weigh in behind the imperialists (quite possibly influenced by his south Dublin Church of Ireland education) in taking a much heavier tone with the pro-1916 Rising side of Eamon O’ Cuiv, Michael Mc Dowell and Professor Emeritus from UCD, Ronan Fanning. Most notable about the pro-1916 Rising side in this ‘debate’ is that, they all know what they are talking about! Shocking eh?! They are all either elected representatives, former Government Ministers, well read educated people or direct descendants of 1916 Rising participants. The Southern Unionist side is tragically, for the TV license payer and those fond of democratic debate, a sorry collection of self-important ignorami and, like the Empire they support, unelected by anybody. As this ‘debate’ progressed, the Southern Unionist side demonstrated that they were out of their depth. Edwards showed that she is more at home putting finger to keyboard, where her opinions cannot be immediately challenged. 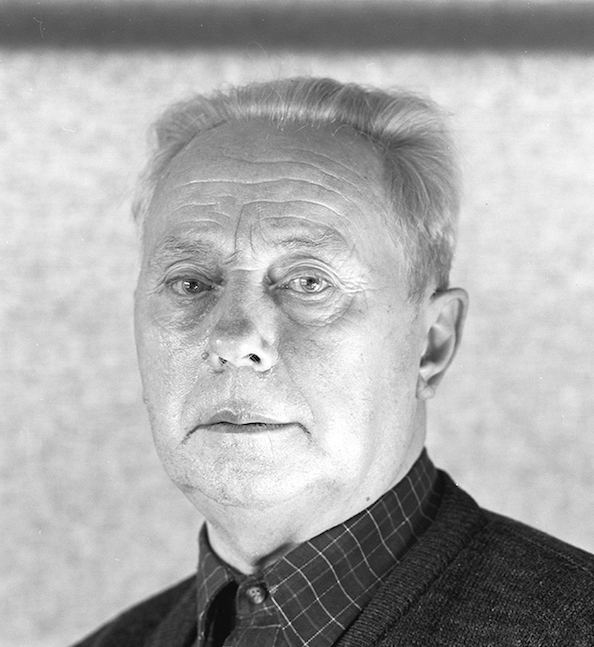 Mc Garry engaged in constant interruptions and sensationalism while both Myers and Edwards had to eventually admit, the well-known fact, that the British Empire achieved what it achieved through criminality and violence. None of this is news and it serves only to further discredit an underhand ‘debate’. So why did it go ahead? Was it some attempt at balance? If so, why weren’t ‘Dissident Republicans’ invited? Is it because a tiny minority of them supports the use of violence? Surely not, as Myers, Edwards and Mc Garry, who support the British Empire, admitted that their empire achieved what they achieved through violent means. The inclusion of Southern Unionists demonstrates imbalance and a return to the dark days of RTÉ willfully imposing the Section 31 broadcasting ban until its repeal in 1994 by the Minister for Arts, Culture and the Gaeltacht, Michael D. Higgins. Attempts to speak about 1916 as a movement towards a United Ireland is to be thwarted by these fringe, unrepresentative and unknowledgeable populist folk. Indeed, I was unaware that they had even formally organised until this debate. Of course some will retort that this is in fact the purpose of debate – to inform you of what you did not previously know. 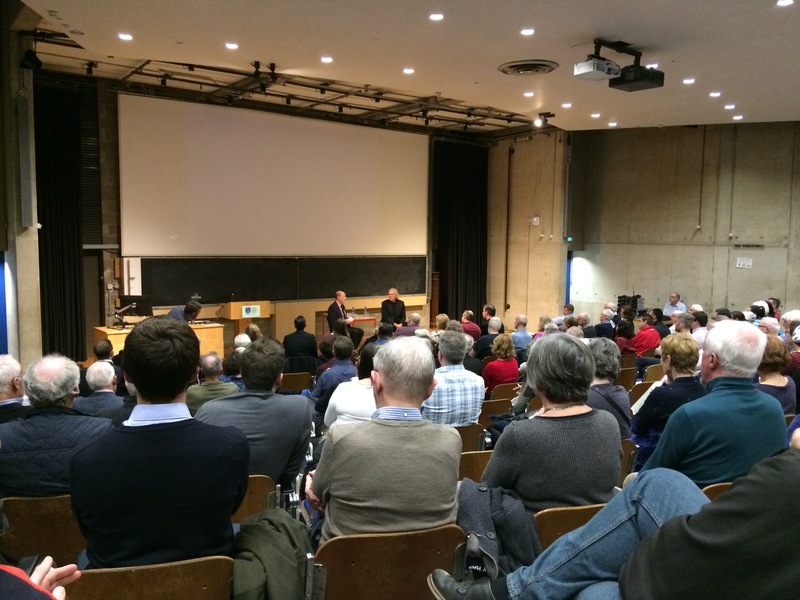 But likewise I did not know, until now that is, that the Flat Earth Society and Esperanto Ireland, who celebrated their centenary last August, are also organised. Why weren’t they asked? There is after all, potentially 8 million people worldwide who speak Esperanto and they have an Irish membership. Southern Unionist and anti-Republican opinion are not new in Ireland. Indeed the journalistic career of President Mc Aleese in RTÉ bears testimony to this. However, all is not lost and there are a number of well-respected figures in Ireland writing and speaking favourably of The 1916 Rising and its achievements, and the unfortunate need for violence and an armed insurrection. Below is a recent sample from Ireland, north and south as well as from the UK. 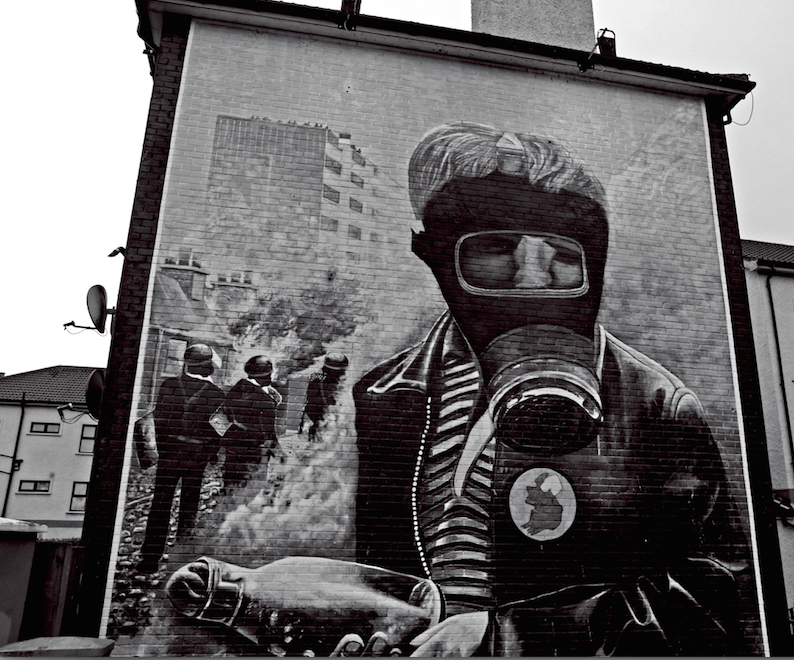 People in Dublin lived in squalor, Catholics could not practice their faith during penal times, northern Catholics were Gerrymandered and beaten out of democracy, which was the ultimate trigger to the conflict in the north of Ireland – NOTHING AT ALL to do with the 50 year celebrations in 1966. Reading about this topic of late brings home to me how media power can be abused. Why so? Because my own experience and school days differ from it completely. Furthermore, the experience that others relay to me differs from it also. I went to a very typical country Roman Catholic school in the 70s and 80s in Ireland and I then followed on to a CBS secondary school. All very very Catholic. Yet neither the teachers nor the governing body had the slightest problem with people of other faiths opting out etc. In my primary school two young lads from Belfast came to my class in 3rd class. They were Presbyterians and they were allowed opt out of religion classes. Nobody made a song and dance about it, it just happened and we all got on with it. One of the most prominent teachers, and indeed one of the best teachers, in the CBS secondary school was Church of Ireland. Again nobody made the slightest deal about it. Like so many others, I know several Muslim families that are more than happy to send their children to Catholic schools. There are many many problems with the Irish education system. The fact that many are, in theory only, run by the Catholic Church is among the smallest of these problems. Lack of resources, poor teaching methods and ill-preparing students for life are the greater problems. And the bullying that goes on has little to do with religion. I was bullied at school every time I got a haircut or wore a different pair of trousers. Bullied and beaten by teachers too and none of it had anything to do with religion. It had to do with them and how unhappy they were. So this is a red herring story. I feel for the individuals referred to here and I feel for them too much to use them as pawns in someone else’s game. 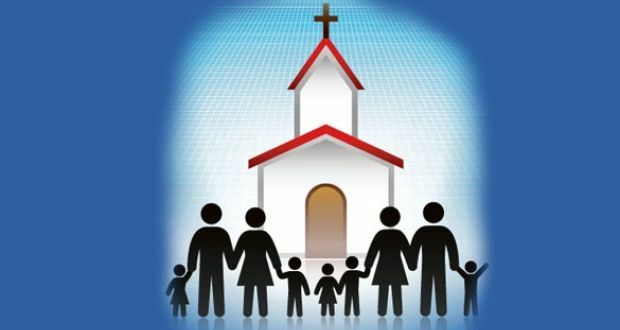 If we are to naturally move away from our schools being under the control of the Catholic Church then I do not necessarily have any problem with that. And I mean control as opposed to ethos as I am not convinced that this presently exists anyway. However, it must be a natural progression and movement and not one that simply means a transfer of power from one set of hands to another. No more new wine in old bottles, if we change we change for something better not merely different. Change is not about securing old jobs and benefits for a new network. As opposed to Bloody Sunday 1972 in Derry. The bitter irony is that 14 innocent civilians were also executed by British crowned forces in Derry on 30 January 1972. They omit that these “crowned forces” were in fact “British crowned forces”. Why did RTE do this? Of course in the Dublin of 1920 the crowned forces are unlikely to be Spanish or Chinese, but why the omission? Would it not have been more candid to describe them as “the British forces” or “British agents”? That is after all who committed this war crime. Is this to be the Irish state broadcasters censorship style as we approach the centenary year of 1916? 1916 is arguably the most important year, in contemporary Irish history, in the war against the British occupation of Ireland. 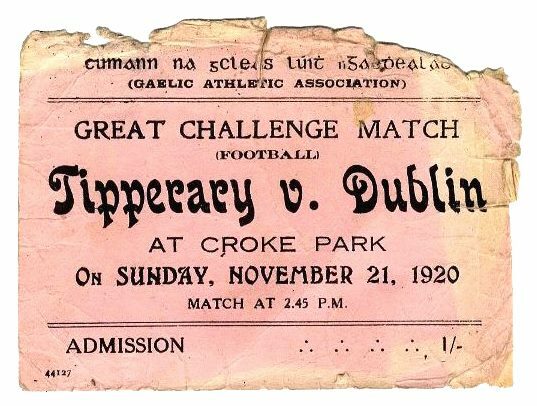 “The date of November 21, 1920 will be forever etched into the history of the GAA and that of Croke Park stadium as a result of the tragic events which saw British forces fire into the crowd attending a Dublin-Tipperary football challenge match. 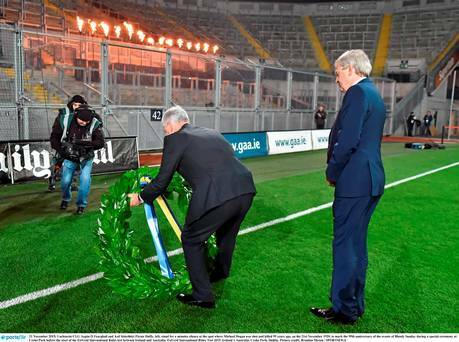 On the 95th anniversary, prior to the Ireland v Australia International Rules test, the GAA held a commemoration for the 14 civilians. 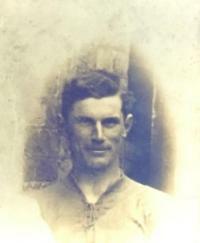 They lit 14 torches on the legendary Hill 16 and laid a wreath at the point where Tipperary footballer Michael Hogan died at the hands of British forces. During their commemoration, the GAA announced, over the tannoy, the names of those slain by the British crowned forces. As the GAA did so, RTE Sport, who were televising the event live, decided to shroud their version over the GAA version. In the RTE version they included the British secret service agents, the so-called ‘Cairo Gang’ (although this name is disputed), among the dead that day. All loss of life is tragic and it needs to be remembered and mourned. So why not let each side remember their own dead in their own way? Let each side take ownership of their own grief. Otherwise there is no clear memory of the past and we are left with a muddled compromise that does nothing to remember or respect anybody’s loss. Worse still it attempts to equate the killings carried out by freedom fighters, an oppressed people, with that of the British Empire that had colonised large parts of the globe and took the wealth that belonged to the areas they colonised. The situation of that day and era was already imbalanced in favour of the British Empire and its crowned forces army. Crowned forces, which included the criminal terror gang the ‘Black and Tans’ among their ranks. The Black and Tans were given the responsibility, by the British Empire, of bringing terror to Ireland and the Irish people. Many of these ‘Black and Tans’, after they were driven out of Ireland by the Irish resistance (the IRA), finished their days of terror serving for the British Empire in Palestine. So was there really a need to ‘balance’ history further in favour of the British Empire? Additionally, this attack by British crowned forces in 1920, took place in the GAA’s Croke Park. This is where the commemoration was taking place in 2015. It was the GAA’s commemoration. Is it not logical then, to leave this mourning to the GAA? It was 14 of their patrons who were executed that day. The British also executed IRA volunteers later that day but they were not included in the GAA commemoration. Is this really a shared history or is it a censored history? Furthermore, given the terror threat climate we currently live in in Europe, why did RTE not draw similarities between the British indiscriminate execution of civilians and the ISIS indiscriminate execution of civilians? Surely this would be balanced as The Irish Times, also on the 95th anniversary, related the IRA’s Birmingham bombings in 1974 to Bloody Sunday 1920. 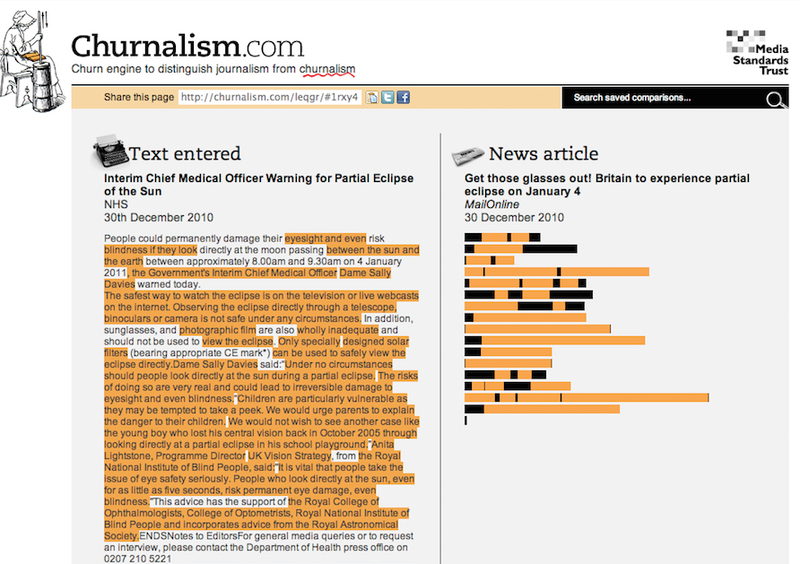 In this way, the Irish Times have attempted to censor the memory of Bloody Sunday. 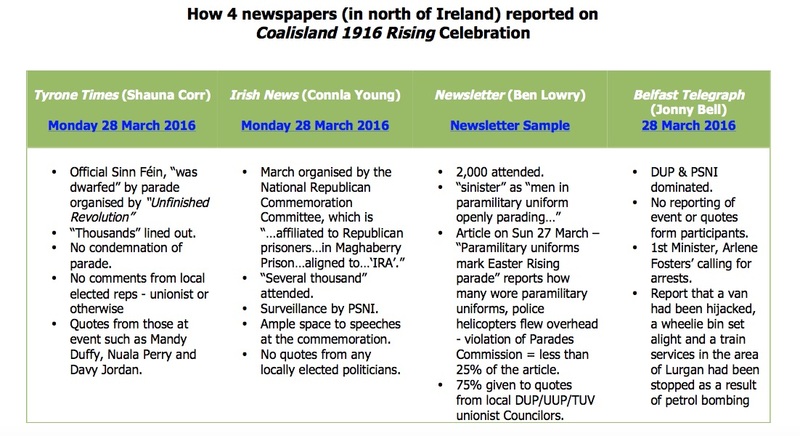 In their weekend edition, on Saturday 21 November 2015, they all but neglected to mention Bloody Sunday 1920. It was as if, 95 years on, it had never happened or it was just a minor incident. The Irish Times committed just one sixth of page 6, of the weekend edition, to the attack on Croke Park. And of that one sixth, placed at the bottom of that page, 30% of that single article was dedicated to the IRA Birmingham bombings of 1974. What was the real significance of that inclusion? This means the Irish Times gave 70%, of a single article, which was already a mere 17%, of a single page, to Bloody Sunday 1920. 17% ÷70% = 12%. Then you notice that the entire Irish Times weekend edition is a whopping 122 pages. One single page is therefore equal to .8% of the entire weekend edition. So Bloody Sunday 1920 got 12% of .8% which is equal to .09%. An article entitled “To tip or not to tip?”: should Irish diners tip in restaurants or not – received three full colour pages. Which do you consider to be more important? From now on, according to the censorship of mainstream Ireland, an Irish death can never again be mentioned without ‘balancing’ it out with a British one. Why is this? Why can we not allow people the space to mourn their own and give them the independent respect, space and time they deserve? Otherwise, we are left with some kind of oxymoronic benign censorship, that excuses the powerful from wrongdoing and censors the oppressed from free and peaceful expression. Are we to be subjected to more of this in the run up to centenary year?